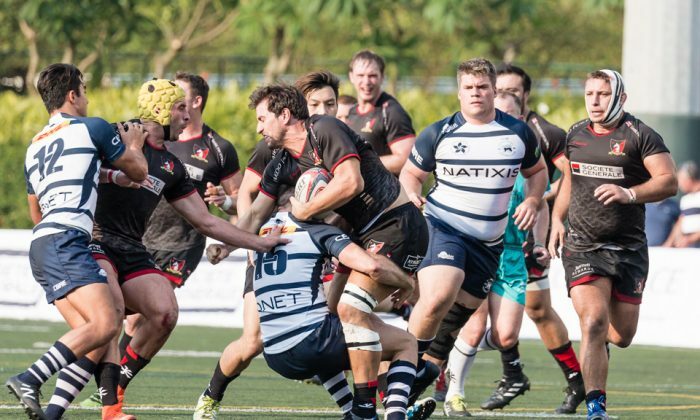 HONG KONG—Société Générale Valley overcame Natixis HKFC 41-31 to win the top-of-the-table clash in the Hong Kong Premiership on Saturday, outscoring their neighbors 5 tries to 4 in an entertaining game. 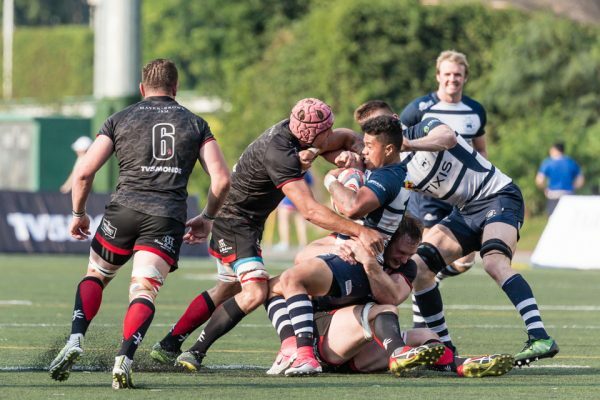 Valley was never behind in the match, and built a solid lead taking advantage of an early yellow card against Club center, Jack Abbott, when they amassed 3 quick tries to ensure Club had to chase the game. 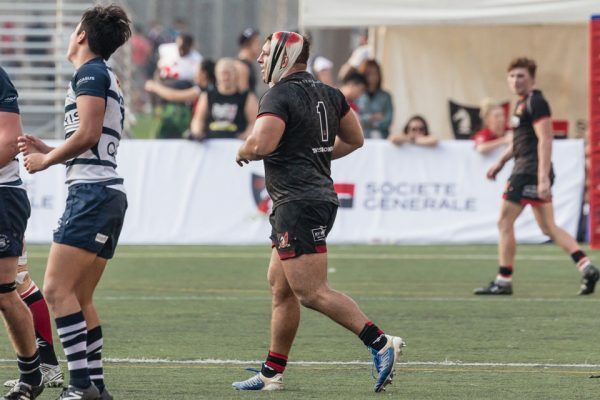 Valley opened the scoring with a penalty goal from flyhalf Matt Rosslee, but the score was soon even, with Club fullback Glynn Hughes also converting a penalty. On 10 minutes, Abbott conceded a decisive yellow-card. Whilst he watched from the touchline Valley let rip, with tries from winger Matthew Bell, prop Taukiha’amea Koloamatangi and center Sean Conner, all converted by Rosslee, giving Valley a comfortable 24-3 lead after 20 minutes. Club did not lie down, and once back to a full complement pressed the Valley defense. Club gained momentum and won successive penalties. 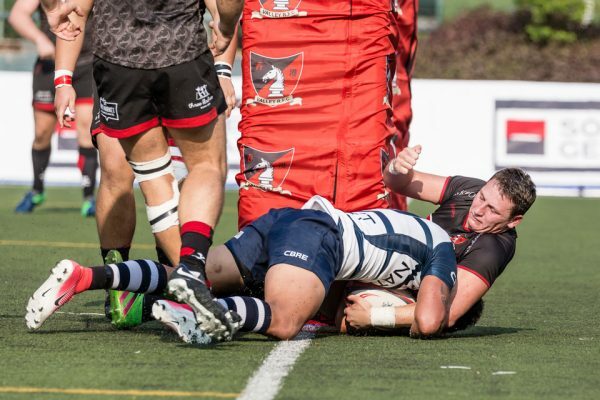 Their pressure was rewarded with a well-executed try in the corner, converted by Hughes, narrowing the score to 24-10. Valley immediately replied, cutting through the Club defense for Bell to run-in his second try of the afternoon. Again, Rosslee was accurate with the conversion, and Valley edge out to 31-10 lead. And a try bonus point. With 5 minutes left in the half, Valley No 8 Karetai Williams was yellow-carded: and Club took advantage of their man-advantage, with a try under the posts, by flyhalf Nate De Thierry, converted by Hughes, narrowing the score to 31-17 at halftime. Club started the second-half determined to close the gap. Despite their pressure Valley held firm, and once back to numeric parity, it was Valley who scored, with flanker Toby Fenn adding the touchdown after the Valley pack pressured the Club try-line. Rosslee again converted, and Valley led 38-17. In the final 20 minutes, it was Club who looked the fitter and sharper of the two sides; and despite a yellow-card against scrumhalf Jamie Hood, Club scored two well-worked tries from center Tom Isaacs, and winger Liam Herbert, both converted by Hughes. Valley managed a penalty from Rosslee, but Clubs performance in the final twenty earned the try bonus point, and a respectable scoreline 41-31. Both sides played running rugby, and Valley looked impressive for the first 60minutes of the match. Club, behind for all the match, never gave-up, and will rue the early yellow card, that meant the game was perhaps going to be a try too far. 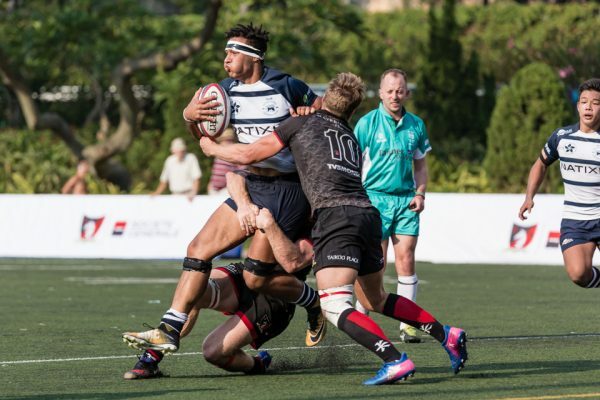 In other matches in the Premiership, Borrelli Walsh USRC Tigers, scored twice in the final minutes to edge Bloomberg Hong Kong Scottish 31-28; and Kowloon beat Herbert Smith Freehills HKCC to 44-27. 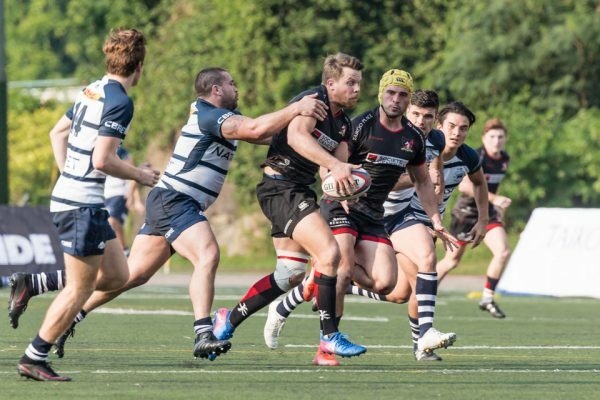 In the league Valley are top with 19 points, Tigers with 16, Club 14, Kowloon 12, Scottish 11, and HKCC 7.